Experience a private cruise in Tokyo on a traditional yakatabune house boat with those close to you. Learn how to wear a happi coat and enjoy seasonal dishes! Enjoy a dinner made with the freshest fish from Tsukiji fish market and seasonal ingredients. Spend quality time with your friends and family as you cruise through Tokyo. 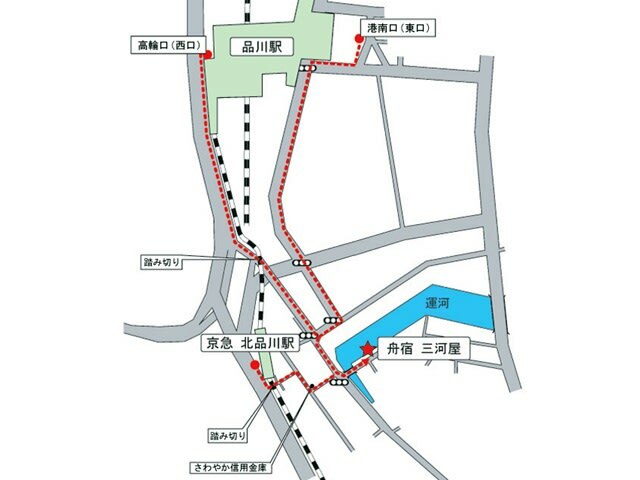 10 minute walk from JR Shinagawa Station west gate. 5 minute walk from Keikyu North Shinagwa Station. Standard charter time is around 2.5 hours, but if you would like to extend it, please inform us when booking. Infants from 0-2 years of age will be able to join for free, but will not include meals or drinks. This tour is operated entirely in Japanese. You can book a minimum of 20 and maximum of 80. Any cancellations made between 00:00 local time, 30 business days to 21:30 local time, 21 business days prior to the activity will be subject to a charge of 20% of the total amount. Any cancellations made between 21:30 local time, 21 business days to 21:30 local time, 11 business days prior to the activity will be subject to a charge of 30% of the total amount. Any cancellations made between 21:30 local time, 11 business days to 21:30 local time, 1 business days prior to the activity will be subject to a charge of 50% of the total amount. Any cancellations made after 21:30 local time, 1 business days prior to the activity will be subject to a charge of 100% of the total amount.